My soon-to-be foster dog, Valentino, is scheduled to be neutered and will be coming to live with me in one week! 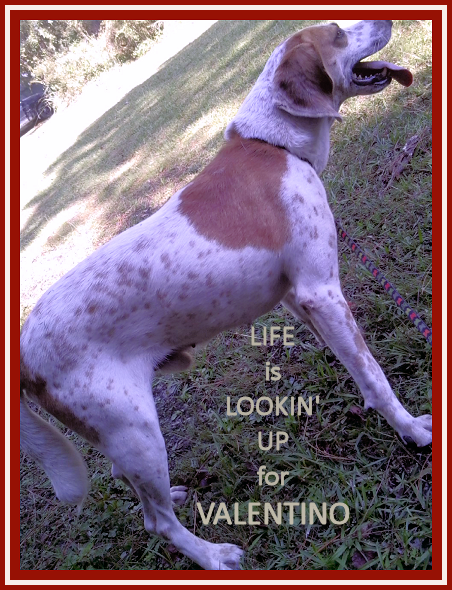 It's a dog's life, and...Life is lookin' up for Valentino! I have been busy pup-proofing the house in preparation for Valentino's arrival. His first Kong Toy has been ordered (thanks to a great dog toy review by Jasmine and Goldie.) 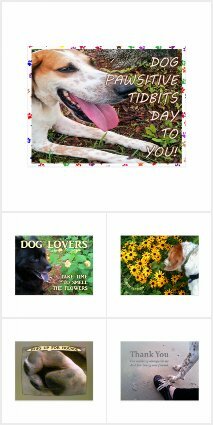 And, an Easy Walk dog harness and leash for my hound dog is on its way. Both of these gifts courtesy of my dog lover friend Lori who sent us a "Buy that pup a toy!" gift. We're linking this not-so-wordless dog picture post up with the Wordless Wednesday blog hop at BlogPaws. Come blog and hop along with us!